Attachments Hammer mill Skorpion 500 is designed for disintegrating chips and other pre-shredded wood waste as well as straw, hay, paper, corn etc into a very small fraction. The mill is equipped with a control switchbox performing the functions of switching on and off, operation and overload control; additionally it can be also provided with a special electronic system of duty control - this anti-stress system protects the cutting group against excessive load through temporary stopping the in-feeding. The machine is driven by a 45 kW electric motor. 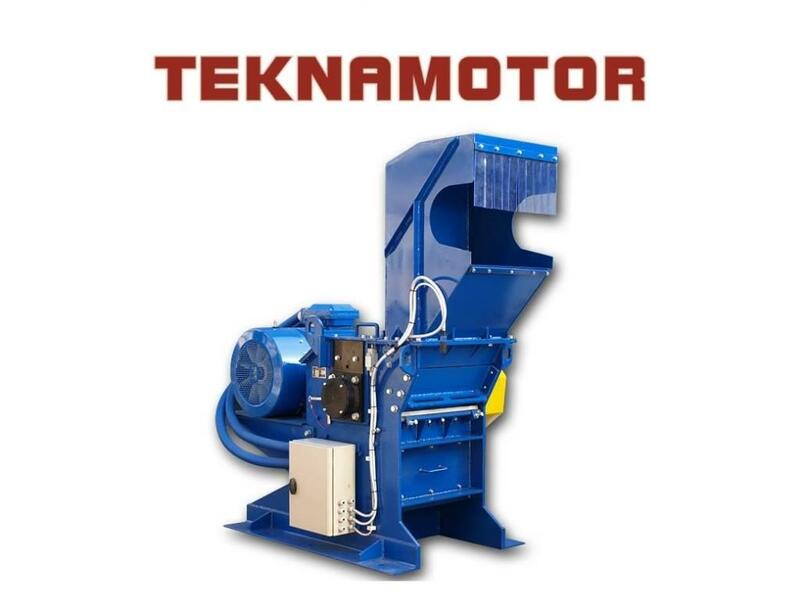 Additional Info Hammer mill Skorpion 500 is designed for disintegrating chips and other pre-shredded wood waste as well as straw, hay, paper, corn etc into a very small fraction. Skorpion 500 can cooperate with belt and worm conveying systems. The standard set of devices incorporated includes: a mill, control switchbox, loading conveyor and, on request, an exhaust-pressure fan for receiving the shredded material. The final product made by hammer mill Skorpion 500 is perfect for production of briquette and pellet, and for burning in pulverized-fuel boilers.